Dangers are known to occur in the attic and crawl spaces of most homes. Such condition can compromise the health and the very structure of your property. The serious cause for concern is that these problems often sneak up on us and by then it is too late. It is important to defend your family and home from this menace. Periodic inspection and regular up-keep goes a long way in keeping homes and commercial set-ups cleaner and safer for years. Quartz Solutions is the perfect answer for monitoring signs of impairment and providing the correct cleaning options for your attic and crawl spaces. 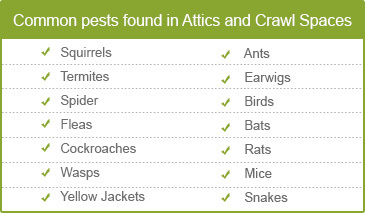 The potential hazards should be eradicated from attic and crawl spaces as soon as possible. Unfortunately, homemakers are unable to spot these hazards until the problem is too comprehensive. If neglected, they can be burdened with steep costs for extensive repair needs. Damaged insulation and leaky duct systems not only escalate power bills but also causes harmful microbes to creep into your living space. Disease carrying insects like wasps, roaches and termites can hurt and your home. Rats and bats can cause devastation to structural components, power elements and cables leaving behind a tangled mess. Extreme moisture promotes mold and mildew that slinks into the environment. This wet environment encourages wood decay, which leads to costly repair to structural damage. A thorough inspection of the property attic and crawl space is imperative for a healthy environment in your attic and crawl space. This should be inclusive of testing for radon gas, a known carcinogen. Our team of experts will drop in at your home or business place to conduct a free preliminary assessment so that they can outline the most appropriate plan. The aim of Quartz Solutions is to provide our customers with quality service and best measures to rid their property of hidden dangers and unwanted pests at affordable prices. Roxbury Township in Morris County, New Jersey is touted for its rich heritage. We want it be well preserved and maintained. 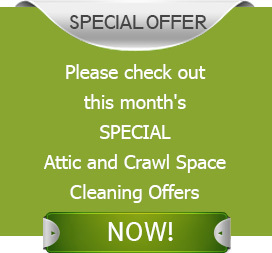 Quartz Solutions is here to help improve the attic and crawl space of residents. Our dedicated employees with specialization in tailor made cleaning solutions are available to meet the needs of both residential and commercial clients. Give Quartz Solutions a call at 973-536-1013 to get a free inspection and consultation.